The quality of the aura photos can influence the aura interpretation itself. If the aura photographs are shot well, the colors will stand out and be very clear. This will allow the aura readers to examine them closely and arrive at ideal conclusions. Before you start an aura reading business, it’s important that you understand how to take aura photos. The right procedure will ensure your clients have a good experience with you and the results are accurate. Camera quality is a very important consideration in aura photography. If you have a poor quality camera, you will get a poor quality image. Along with the camera, the aura scanner software and equipment must also be of high quality. If any aspect of the aura reading system is not of high quality, it will compromise the reading as well as the client experience. Clients may have some doubts and skepticism when asking “can you see auras in pictures?” If they have a good experience and receive a great reading, they’ll have more reason to believe in the value of your offerings. That’s why it’s important that you choose the right aura picture machine for the job. Modern aura cameras and reading systems are quite sophisticated. Many people assume that it’s just point and shoot, but if you want good results, you should learn how to use the camera well. Before you start using the equipment in client sessions, you should practice taking aura photographs of your friends and relatives. You’re familiar with their personalities and tendencies and these practice sessions will also help you understand how the camera works and what’s needed to get the best pictures possible. Background – Make sure you have a neutral or white colored background for your photograph. Intense colors will interfere with the quality of the picture and distort the aura. Quietness – It’s important to keep the environment as quiet and calm as possible. Make sure that all of the noises are muted or dim so that they don’t startle your clients or have an impact on their aura. Light – Natural light is an ideal way to make the auras shine and stand out. However, you should make sure that your environment isn’t too bright. If you intend to take aura photographs indoors, switch off all harsh and bright lights and burn a candle to create the right environment. Engage the Client – Engage the client as you take the aura pictures. That would ensure they feel comfortable and are their natural self when you take the picture. 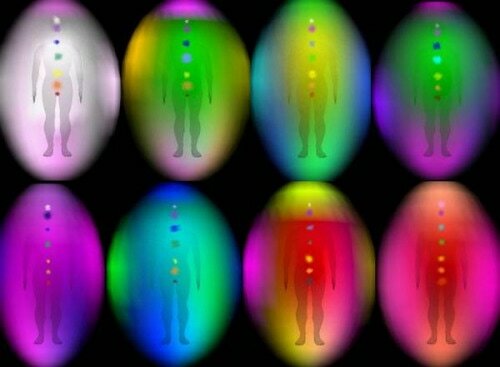 If you follow the steps mentioned above, you’re likely to get a great aura photograph for your client and provide a good aura reading.